Our publications are for restricted sale only. However, you can place an online order at the bottom of this page. 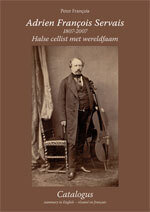 Since the nineteenth century, Belgium has produced many cellists that have made themselves heard worldwide. The most famous one is François Servais, the ‘Paganini of the Cello’. 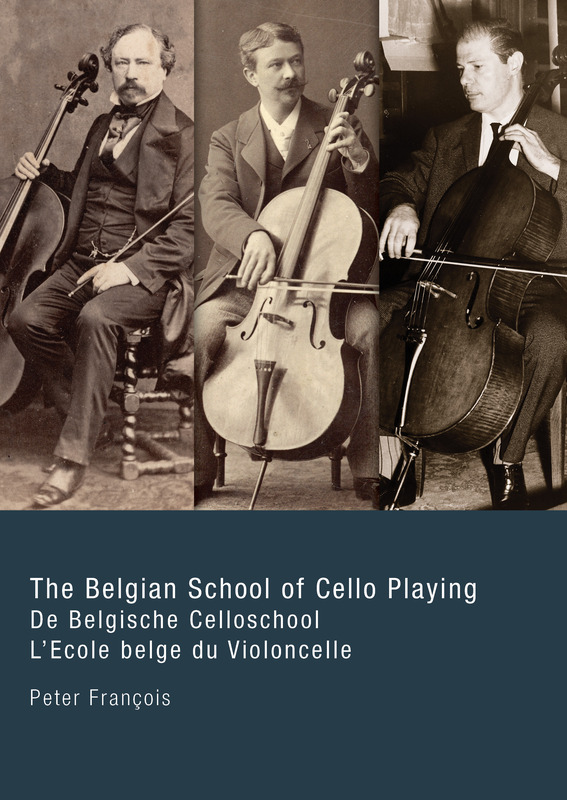 But there are many other cellists who have also helped shape what came to be known as the ‘Belgian School of Cello Playing’. With a chapter dedicated to Eric Feldbusch (1922-2007) by Jean Paul Feldbusch. On the occasion of the 225th anniversary of the Halle wind orchestra Peter François describes the close link between the orchestra and the Servais family. The Halle cellist François Servais is one of the most prominent virtuosi of the 19th century, who was appreciated for his artistic talents all over Europe. Yet, he always used to return to his native town. From his early youth till his death he had good contacts with the Halle wind orchestra, presumably first as a musician and conductor, afterwards as an honorary member and a president. Also his father and sons were acquainted with the orchestra. The author, himself a historian and musicologist, drew on twelve years of research in the records and so was able to lay bare some fascinating and unknown facts. Actually the case of the Halle wind orchestra is also indirectly useful for the study of the history of the Belgian amateur music associations in general. In this context the book reveals the close contacts there were between the wind orchestra and the church orchestra, which was also the case in numerous other towns and parishes. Another finding concerns the cooperation between the band and the town authorities in Halle and other places as well. The numerous samples of 19th century concert programmes prove the repertories and above all the concerts themselves to have been devised quite differently as compared with the present time. Particularly striking is the fact that a music association is an instance of collaboration of people – musicians, the conductor, the management and the audience, year after year. Halle, Servais Society, 2013. Introduction by Peter François. 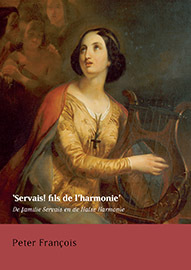 After a hundred years the Servais Society publishes a new edition of Servais’ Etudes, which have remained virtually unknown but are absolutely worthwhile. They can be played with piano as well as cello accompaniment. Not only do these Etudes prove very suitable as exercises, they are also highly enjoyable pieces of music for concert performances. 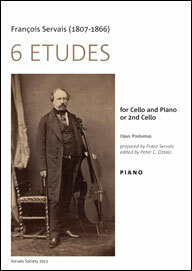 Download the introduction and Etude nr. 1, ‘Marche pour la Procession de Hal’: click here. Download some sample pages: click here. The DVD shows the anniversary concert by Seeli Toivio, cello, Kalle Toivio, piano, Alexander Hülshoff, cello, and Friedemann Eichhorn, violin, on June 6, 2007 in the Halle basilica. You can listen to and look at their performance of Souvenir de Spa, O Cara Memoria and Duo sur une mélodie de Dalayrac by Servais, Liebestraum by Franz Liszt, the allegro moderato from the Arpeggione Sonata by Franz Schubert and an excerpt from the Variations brillantes sur l’air God Save the King by Servais and Joseph Ghys. The academic ceremony – with speeches by Peter François, Anner Bijlsma, Dirk Pieters, Ernest Vanderlinden and Geert Bourgeois – and the popular festival on the same day are also extensively covered. The bonus track on the DVD shows images of the Servais Walk and sketches in the Halle dialect by members of Toneelgroep Volharding and KWB Toneel de Linde Lembeek. This CD combines compositions by Servais which were performed in three Servais Concerts: May 4, June 6 and September 21, 2007. The CD ends with a composition by Peter Swinnen commissioned by the Servais Society as a tribute to Servais. 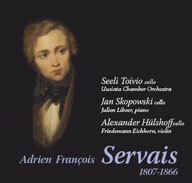 This CD contains for the first time two compositions by Servais in the version for cello and orchestra. 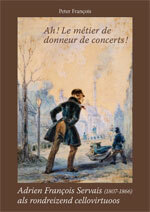 Peter François investigates the phenomenon of the travelling virtuoso in view of Servais’ career: preparation and course of a concert tour, salary, repertoire, reception by press and public, position in the European music world. This book contains a summary in English of a few pages, which points out the most interesting things that were revealed in the publication (which is based on thorough research all over the world). The publication also contains a number of lists and illustrations which are self-explaining, and a lot of quotations in English, French and German. To consult some pages from the book, click here. Illustrated catalogue with English summary. The bicentenary of Servais birth was the ideal opportunity for a first big exposition showing the results of recent scientific research in archives all over the world. The exposed material comes mainly from the collection of the Servais Society and the Zuidwestbrabants Museum in Halle, completed with reproductions and loans from almost fifty archives and libraries all over the world. All items are described in full length in the catalogue, which is richly illustrated. To consult some pages from the catalogue, click here. Fill out the form on the right, and specify the desired number of copies of each publication. You will receive an immediate acknowledgment and then we will be sending you the terms of payment as soon as possible (price including shipping, payment method, …). You pay only € 15 (instead of € 20) if you order the DVD and CD ‘Souvenir. 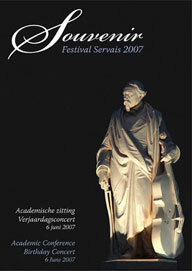 Festival Servais 2007’ simultaneously. You pay only € 40 (instead of € 45) and we also send the package free of charge to an address in Belgium (for shipments outside Belgium, the cost will be reduced proportionally). If you are a member of our society, we of course deduct the membership’s discount (not applicable to special offers). Fill in the quantity (prices without freight charges). We will only use this information to treat your request.